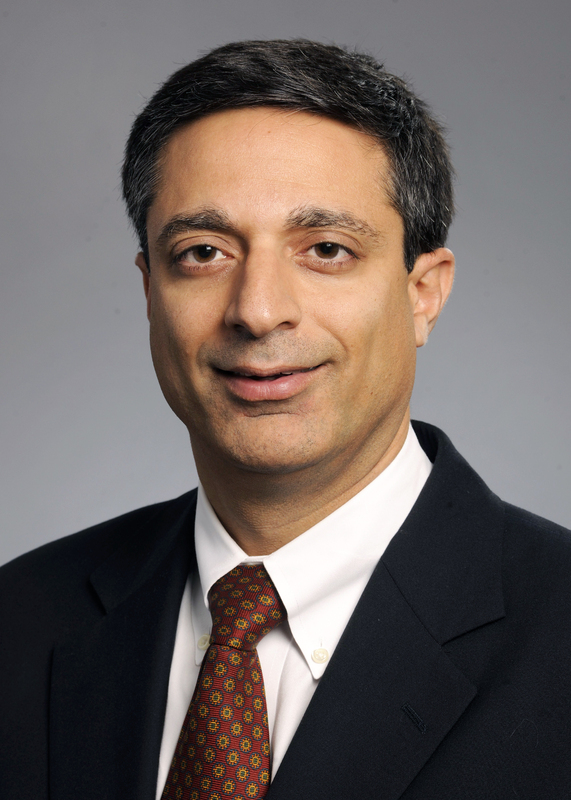 Internationally recognized as a leading authority in multiple myeloma treatment and research, Sagar Lonial, MD, collaborates with leadership as Chief Medical Officer to coordinate and enhance clinical services and patient care throughout Winship Cancer Institute. As a medical oncologist at Winship, Dr. Lonial treats patients with multiple myeloma and is a lead member of the bone marrow transplantation team and clinical trials team. He is board certified in hematology, oncology and internal medicine. Dr. Lonial is involved in numerous professional organizations including the American Society of Clinical Oncology, American Society of Hematology, and the American Society for Blood and Marrow Transplantation. He serves as Vice Chair of the Myeloma Committe in the Eastern Cooperative Oncology Group and as Chair of the Steering Committee for the Multiple Myeloma Research Consortium. Additionally, he is on the board of directors for the International Myeloma Society, and on the scientific Advisory Board for the International Myeloma Foundation. Dr. Lonial earned his medical degree from the University of Louisville School of Medicine. He completed his internship and residency at Baylor College of Medicine in Houston, Texas, followed by a fellowship in hematology and oncology at Emory University School of Medicine in Atlanta, Georgia. Dr. Lonial has worked in the field of immunotherapy and cancer since his arrival at Emory, and in the previous 3 years has spent time developing the B-cell malignancy program with respect to novel targeted agents in laboratory models as well as early clinical trials. His previous laboratory work has focused on evaluating the impact of purified dendritic cell subsets on the nature of immune responses against antigen, and he has completed several trials evaluating the impact of cytokines on dendritic cell content and post transplant immune recovery. Most recently, Dr. Lonial has focused on combinations of novel agents as therapy for myeloma and lymphoma, particularly evaluating combinations that may result in synergistic inhibition of the PI3-K/Akt pathway. His lab has recently received funding from the MMRF, the Lymphoma Research Foundation, and The Leukemia & Lymphoma Society. Dr. Lonial has authored or coauthored over 200 publications and in addition, he serves on the editorial board of the Journal of Clinical Oncology, Leukemia, and is the myeloma editor for Clinical Lymphoma, Myeloma, and Leukemia, and as an invited or ad hoc reviewer for several publications, including Blood, and Haematologica, Clinical Cancer Research, The New England Journal of Medicine, and others.